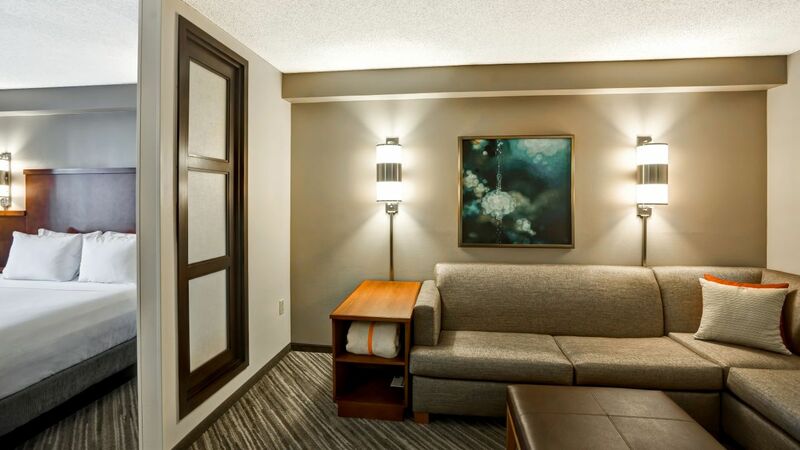 Our accessible rooms featuring separate sleeping and living areas, including one king Hyatt Grand Bed®, roll-in shower and sofa. Our accessible rooms featuring separate sleeping and living areas, including two double Hyatt Grand Beds®, roll-in shower and sofa. Our accessible rooms featuring separate sleeping and living areas, including two double Hyatt Grand Beds®, accessible bathtub and sofa. 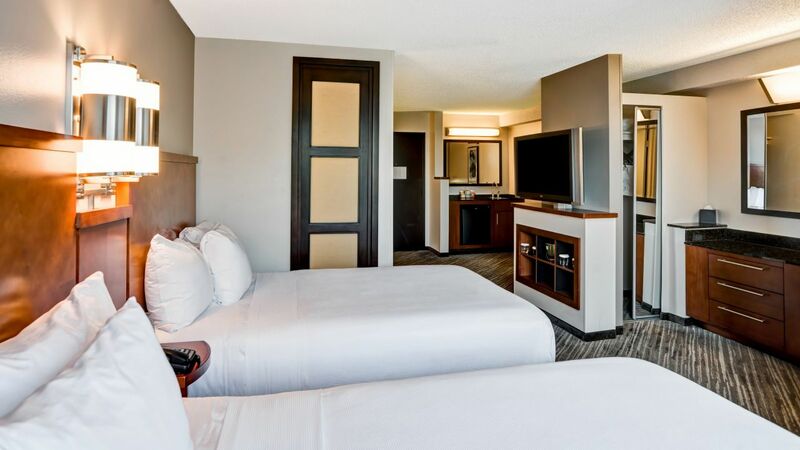 Our accessible rooms featuring separate sleeping and living areas, including one king Hyatt Grand Bed®, accessible bathtub and sofa. 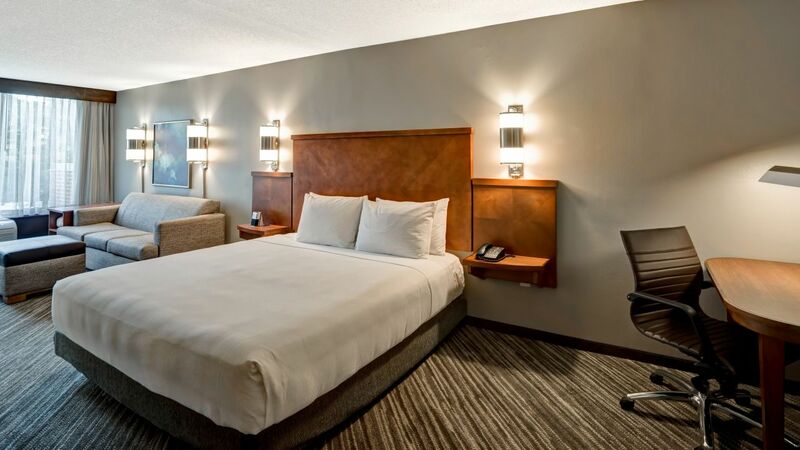 This guestroom boasts separate sleeping and living areas, including two double Hyatt Grand Beds® and our Cozy Corner with sofa sleeper. 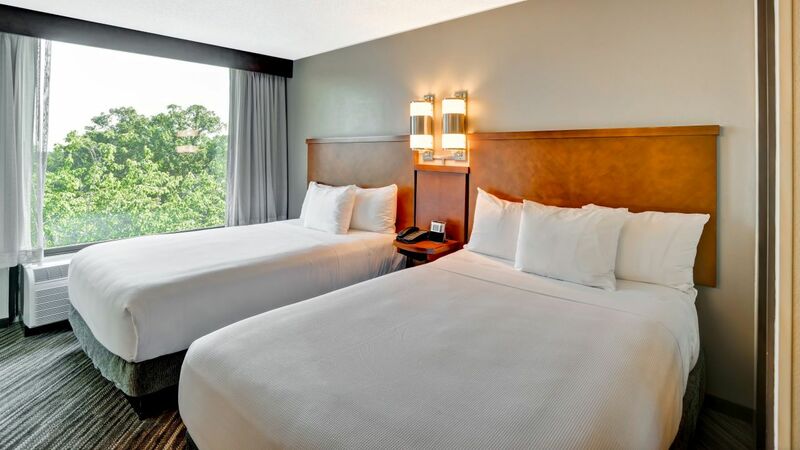 This guestroom boasts separate sleeping and living areas, including one king Hyatt Grand Bed® and our Cozy Corner with sofa sleeper.